Balance transfer cards with no fees are particularly suited to customers looking to make smaller balance transfers. This is because credit cards with balance transfer fees will often charge a minimum fee. This makes smaller balance transfers more costly. At Balance Transfer Expert, we currently have over 80 MasterCard, Visa and American Express 0% balance transfer credit cards available for online applications. However, until quite recently none of these credit cards were available as no fee balance transfer credit cards. Balance transfer handling fees have been rising over the last couple of years. Average balance transfer fees are now around 2.4% across the 80 or so, UK balance transfer credit cards currently available. The lowest balance transfer fee credit cards in the UK come with balance transfer fees of 1.5% or lower. These lowest balance transfer fee credit cards, generally have a slightly shorter 0% balance transfer deal then the longest balance transfer cards available. For several years now the largest balance transfer fees have been edging up towards 3% or even close to 4%. However the credit card companies have more recently shown signs of competing again, by offering lower balance transfer fees. A balance transfer fee is a fee that the card company will charge the customer when the customer transfers an outstanding balance from one credit card to another card. The average balance transfer fee is currently around 2.4% of the amount of the balance transfer. 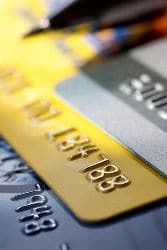 Many credit card companies will charge a minimum fee of around £3 to £5 depending on the card. Your balance transfer fee would then be 0.99% of £1,000, which equals £9.90. The balance transfer fee is only payable to the card company that the customer is moving the outstanding balance too. There is no balance transfer fee charged by the card company that the balance is being transferred from. Balance transfer fees were introduced by the credit card companies to recoup some of the cost of providing longer 0% interest deals. « « How Long Does A Balance Transfer Take?